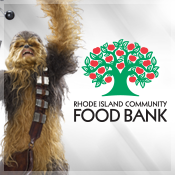 The Providence Bruins take on the Binghamton Devils on Saturday, March 23 in the final game of Star Wars Weekend, presented by RI Community Food Bank! Star Wars Weekend returns! See the team in special Star Wars themed jerseys, to be auctioned off to benefit the Rhode Island Community Food Bank. Don't miss any of the excitement as The Dunk transforms into your favorite galaxy far, far away! 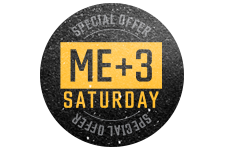 Get 4 tickets for the price of 3 with the Me+3 4-Pack! No ticket limit - purchase as many additional tickets as you like at the same low price! Get 4 tickets for the price of 3 for this great game at the Dunk - no ticket limit, purchase as many as you like for the same low price!